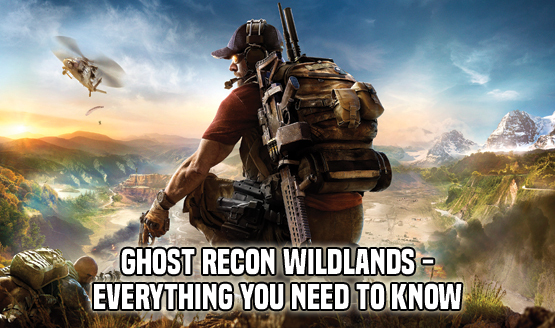 Going live this morning, the newest Ghost Recon Wildlands update (aka Title Update 2) for PlayStation 4 and Xbox One is around 3GB in size and includes game-wide connectivity and stability improvements, as well the option to turn off radios in the game by default and the option to choose the type of vehicle you want to spawn when using the Drop Vehicle rebel skill. Adjusted various mission triggers in order to smoothen the player’s progress and game experience. Fixed infinite XP farming exploit on “Rebellion Rising” mission. Players can now select the vehicle they want to spawn when using the “Drop Vehicle” rebel skill. Fixed the textures flickering when using parachute or helicopter. This update went live on PC yesterday, and it weighed in at 5GB. Future content for Ghost Recon Wildlands includes a free PvP mode, two paid expansions, seasonal events, and community challenges.